Here's a fun twist on our DIY passport for kids. 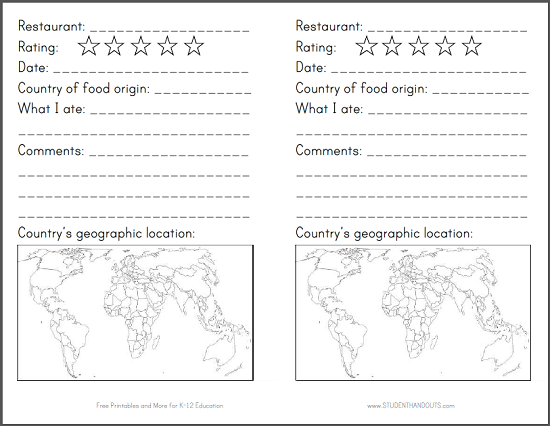 Parents can do this one with their children when visiting restaurants--combine dining out with geography! 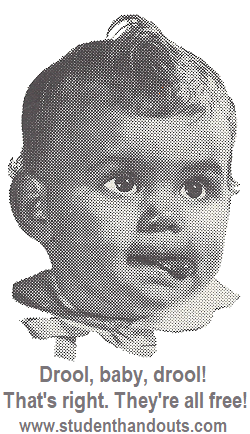 The child identifies the restaurant, and the national origin of the food. For example, the kid writes, "Olive Garden," and marks it, "Italy." The child finds and labels Italy on the blank world map.There's even room for the child to write a review of the food and what he/she ate. This activity also encourages kids to try new foods from different countries around the world. Click here to print. Click here for our extended passport project and printable passport cover. For more of our free educational materials for K-12 Geography, click here.